The primary purpose of inclusive education is to involve all students in the process of learning regardless of their health, social situation or other limitations. The very first efforts towards the establishing of inclusive education were encouraged by parents of children who were disabled or of different ethnic origin. Since the 80s, inclusive education has been supported by organizations like the OECD and UNESCO all around the world, and in recent decades the new system has included children with special educational needs in schools with other students. In the Czech Republic, the topic of inclusion is much discussed and has many supporters and opponents. Integration of disadvantaged children into the education system is not easy, and sometimes it is hard work for teachers and students alike. 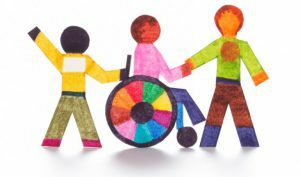 In this article, I interview three teachers with experience of inclusion, and I try to outline the reality of it. There are many publications which describe its principles and provide detailed information on how inclusion works (or should work), but these principles may differ from reality. Nothing can replace the real experience of the teachers and the students themselves. 1) Have you ever met a disabled or otherwise disadvantaged student? If so, please mention the kind of disability or disadvantage. V:During my teaching practice I have met a disabled student in a wheelchair. She could not use her hands properly, and her handwriting was bad. But she was a brilliant student and passed the maturitaexam. Another student is visually impaired and uses a special magnifying glass. I:I have met many students with learning disabilities, ADHD or autism. Two of my students had a severe mental illness, and after some time they had to leave our school because they were dangerous to other students. S:I have met students with infantile paralysis, Asperger’s syndrome, ADHD, dyslexia, dysgraphia, etc. 2) Do you agree with inclusion? V:I agree, but only if it is a lesser disability and the presence of the student does not disrupt the lesson. I:I disagree with the current inclusion. I would recommend it only for students who are open to education and have a specific disability, for instance, ADHD or a learning disability. I don’t think that inclusion is suitable for students who have combined disabilities or for students of lower intellect. I have had students who suffered at our elementary school, but after they went to a special school, they changed and were happy there. S:At our school, I met many disabled students and their assistants many years ago. No inclusion was necessary. Children with a mental disability should attend a special school where they can prepare for their future without stress and with a sense of success. I do not agree with inclusion. It has created more paperwork, more work for class teachers and useless training courses. 3) Is inclusion well prepared? Is there anything you would like to change, and/or anything you consider good? V:I have attended various training sessions about inclusion, and I see many shortcomings. Financing, for instance. I:I think that it’s necessary to judge pupils by several criteria. I believe that teaching assistants are improving. They are ever more highly educated, and they can take care of the children. 4) Is inclusion appropriate for the students themselves? 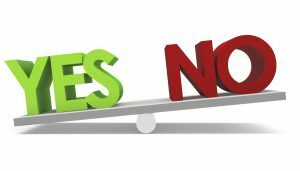 V:For students with lesser disabilities, yes. If they can approach the abilities of the other students, I do not have a problem with it. Students with a more significant disability will never be able to manage the content of learning, and they will not achieve a sense of success. I:It is necessary to assess the pupils individually. The most significant benefit I see is when a teaching assistant can work with pupils outside the class and when he or she can focus on their needs. S:It depends on the type of a student’s disability – for the mentally disabled, no. 5) What is the reaction of their classmates? V:So far I have seen only good reactions and willingness to help. I:If the teachers guide the students, they will stop mocking their classmates or just ignore them. If not, they might laugh at them and even harm them. S:The reactions are mostly good. However, some students are cruel and mocking. As we can see from the interviews, the approach of these teachers is rather negative. They criticize many aspects of inclusion, such as lack of finance and low levels of sophistication. We will see what changes the future will bring. But we should bear in mind that nothing is more important than the students themselves and their comfort.